I have never had much interest in the game of tennis. I love the way tennis players dress. I love the "preppy" feel of the game. I just think it would be cute to play tennis. I came up with the perfect addition for a tennis player's room. along with a vintage vibe. 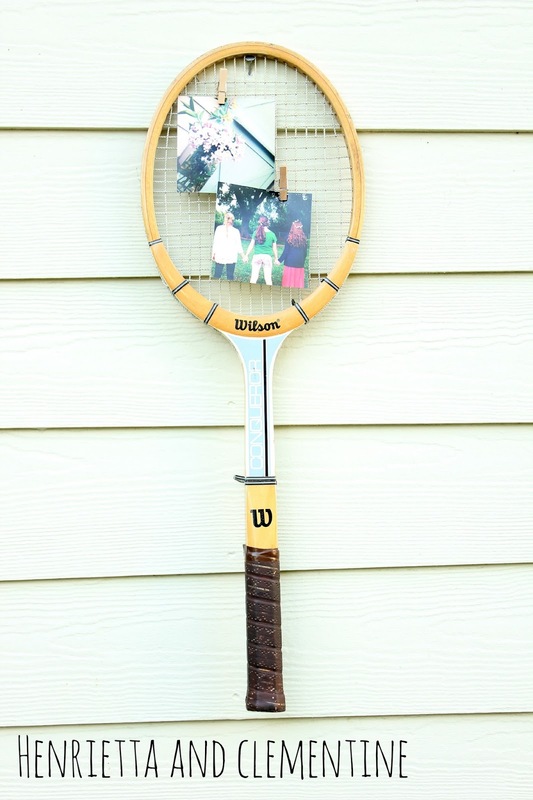 I found one vintage tennis racket in my grandmother's attic. I picked the other one up at a yard sale. and clipped them to the strings with mini clothespins. Haha! I am so happy I was able to put use to it! Love you! 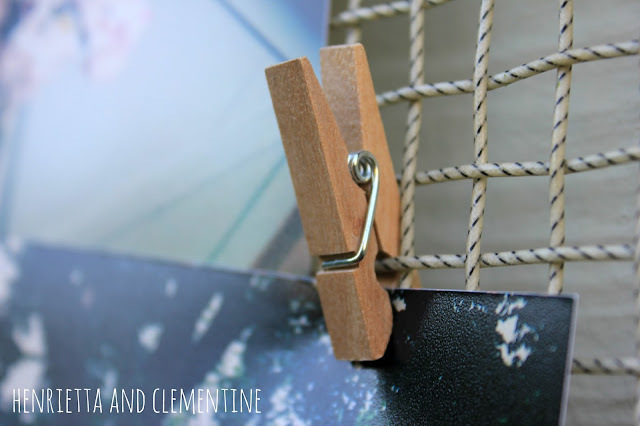 I saw your comment on Richella's party post and clicked over to visit. I collect vintage tennis rackets with the hopes of one day doing a wall display. 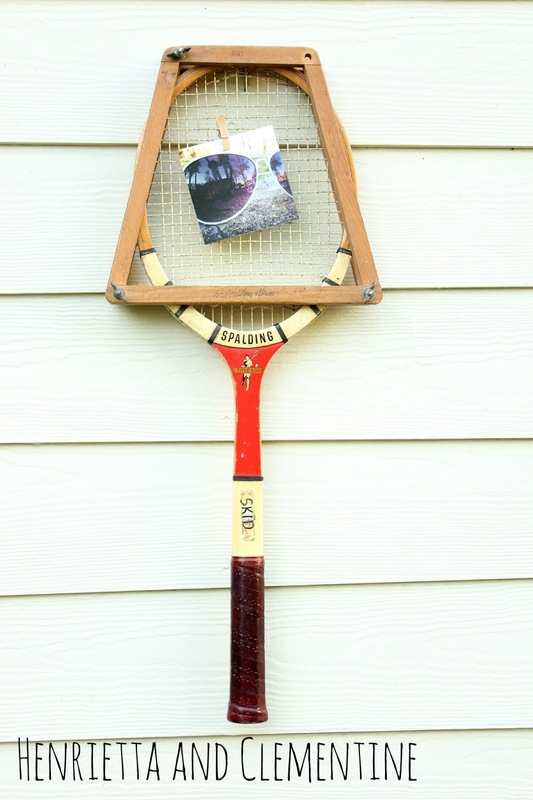 Your idea is a clever way to use the rackets. Hello there! This article could not be written any better! Looking at this article reminds me of my previous roommate! He continually kept talking about this. I will forward this information to him. Fairly certain he will have a very good read. Thanks for sharing!